Ever notice how most classic comfort food is whitish? 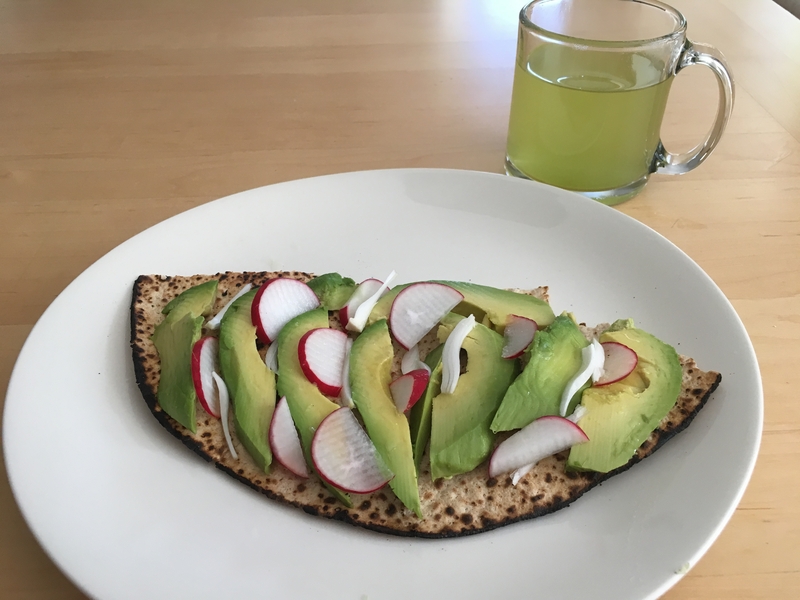 Avocado is the new comfort food, in green. It is creamy like mashed potatoes and rich like mac ‘n cheese. 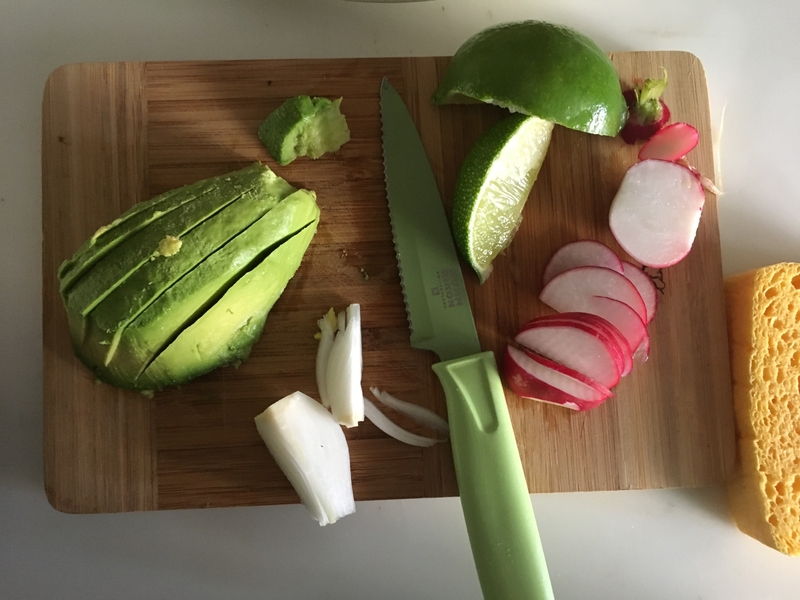 Fatty and fibrous, avocado is a savory fruit. 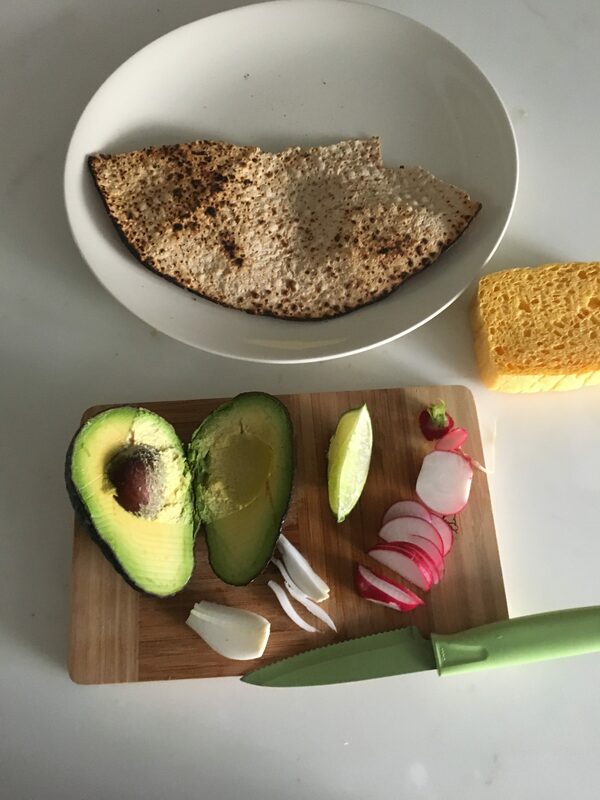 Here, its creamy texture is complemented by the bitter crunch of radish and the sweet tang of spring onion, supported by a thin piece of handmade spelt matzah. Comfort food for breakfast? Yes, please! Trim the leaves and wash the radishes by immersing them in water. Slice it in half lengthwise, then rest the long flat underside on the cutting board; slice them into thin crescents. Set aside. 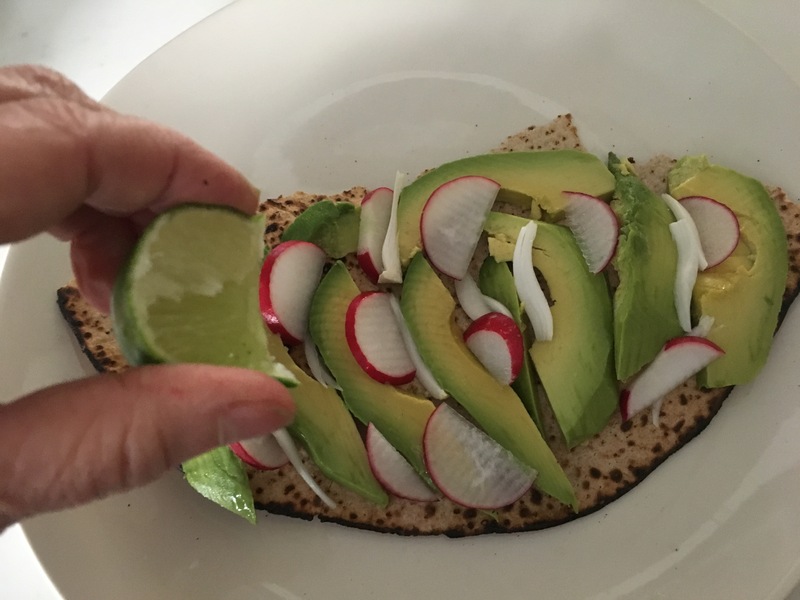 Slice the avocado lengthwise. Peel and pit. 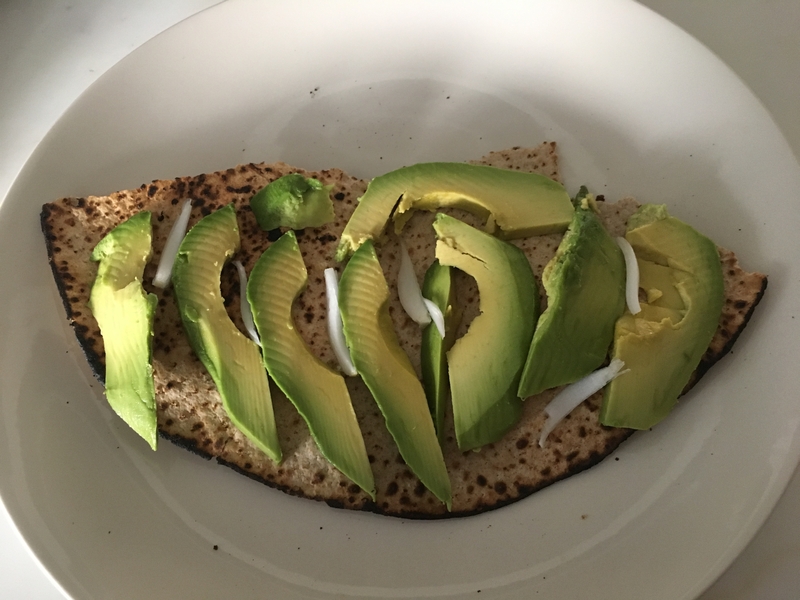 Slice each half into thin half-moons pieces. 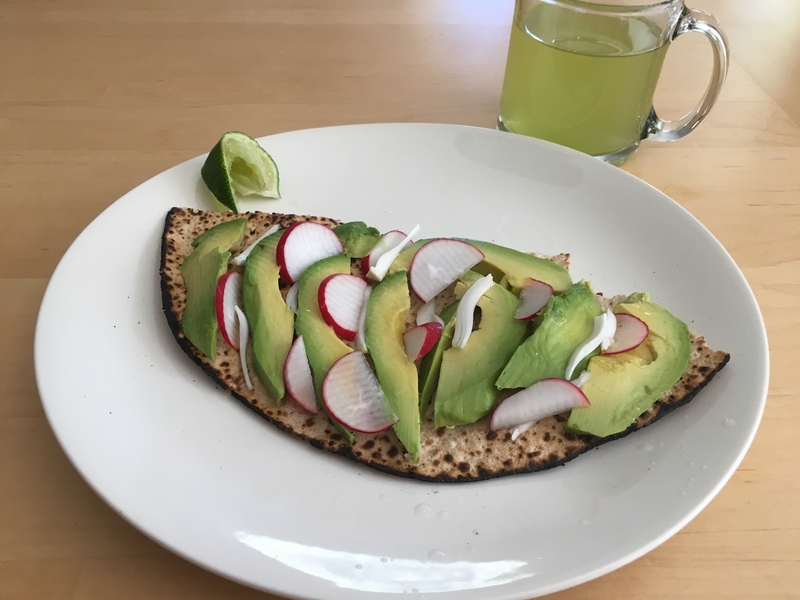 Arrange the avocado on top of the matzah.Add the onion pieces and then the radish slices. Pair with a cup of green tea.